Info: We had our Tech Fest - DAKSHH 2010 which had a competition called Tech@Heart, and my entry came second ;) ( I won a Dell T-shirt! :P) We had to pen a *love-letter* in techie lingo. From the moment(as defined by The Platinum Iridium cylinder in Paris) my irises saw you, my cardiac valves did more back flips than a sawtooth waveform, only this time it was generated by the CRO inside me. The vectors of two points on a Gaussian field belong together and you belong with me. I stored your image in my cache memory for ever. I still remember the first time that we met, you were near the Klystron Amplifier and I was besides the Lathe Machine. Just like these devices are so different, like a cation attracts an anion, our pheromones attracted each other. Your eyes found me like TCP found IP. When you came within a proximal distance of 0.25m within me, I could feel electrons flowing through my viens with a speed of 10power30 GHz. But then I lost you. I searched endlessly for you on the Internet, The Ethernet, The Telnet and what not. But alas! Without you I was morose like a Matlab program gone so wrong that it doesn't even know the difference between a root() command and sinc function. It was on the eve of pi day when I saw you again. Even in that melange of a million people you spotted me. My adrenaline was pumping @ 2.5 times higher than usual. I immediately sent you my ARP request packet to which you replied coz' I knew that your heart was unicast towards me. 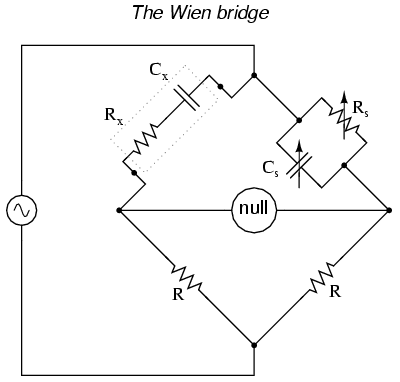 Like a Wien Bridge connected to itself, like integration and diffrentiation , where one is nothing without the other. You know? When Information from your oral mouth reaches my olfactory lobes,it's bliss, akin to ISO completing OSI. My lacrimal glands moisten up as I write these last lines. An ATMEG32 can never run without AVR, and neither can my respiratory system without you. P.P.S: We also bagged the third prize in the MAD-AD contest (impromptu advertisement), We as in Saheli, Abhay and Me. But that story is for some other time and best told by anyone but me! 2.Scanner: That thing in malls which makes a *peek* sound , jisse saman measure hota hai. 3.Platinum-Iridium Cylinder: It's a 1kg cylinder used as a standard for wt. 4.Irises: aapki aankho ke andar ka black black. 7.CRO: Cathode Ray Oscillator: used to *see* waves. 8.Vector: Anyth with magnitude and direction, jaise chalta hua train. 9.Gaussian Field: yaar Maths me ek football field jaisa concept hai. 11.Electrons: Negative charge wale small small things. 12.Klystron Amplifier: Used to increase the speed of electrons. 13.Lathe Machine: Carpentry machine which I hated!! 14.Cation and Anion: positive and negative charges. 19.MATLAB : Jaise compu ppl ke liye C/C++, waise Electronics logon ke liye MATLAB. 24.Adrenaline: jiske wajah se RK ko dekh ke sth sth happens, and for others it gives you butterflies before exams. 31.ATMEG32: It's a Microcontroller chip ( Now don't ask WHAT's THAT? ), it's a chota but mahan chip. chip: doesnt have to do anything with an uncle! its a big thing in a chota package like Sachin Tendulkar. As I put this comment down, My CNS is working hard, pulmonary arteries working just fine,B.P 90 over palp, G.S.C is considerably low and complex as if 10 pulleys hanging on each side of the rope,and I have been given a problem based on inertia and the rods used are magnetic and tesla is just not acceptable neither is the lumnious flux coz of the enormous brightness of my mind but I hope the hertz is just matching through this hyper text transfer protocol and your cache memory catches it and stores it somewhere near medulla oblangata, so that the dendritic cells work perfectly and increase the FPS ..and hence the performance of the thoughts ! u r right. dont torment any guy with THIS! unless he's a techie guy too, that is. and where can i find u on ork or fb? if u dont mind. some of the info isn't that correct either. hoho! whats the meaning of your blog name? with GRE words eh? :) would like to see that. Thanks for makin me smile..
haan ab mere kismat me badde budhhe proff. hi likhe hai kya? nahhhhhhiii!!! ps: polite kyu ban rahi hai? abthanx keh kar jaan legi kya? "To The Scanner Of My Heart.."
This opening line cracks me up totally :D.
Great read! I can't stop giggling! Which Engineering college u r from. Seems to be from mumbai..
"Without you I was morose like a Matlab program gone so wrong that it doesn't even know the difference between a root() command and sinc function." Congratulations ! U qualified for the role of Sheldon Cooper in BBT !